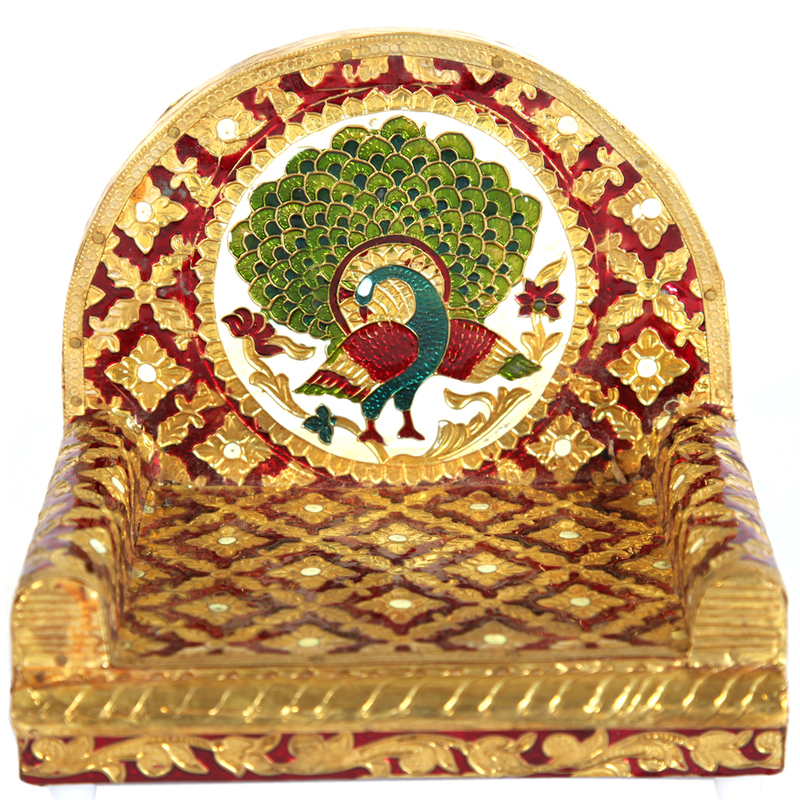 The Metal Sheet on Wooden Singhasan with Peacock Design Meenakari Work boasts of truly inspiring design work, which is sure to make it suitable for Read More..your home temple. The mesmerizing design work present on the metal sheet on wooden body nicely complements the peacock design that is present at the back. 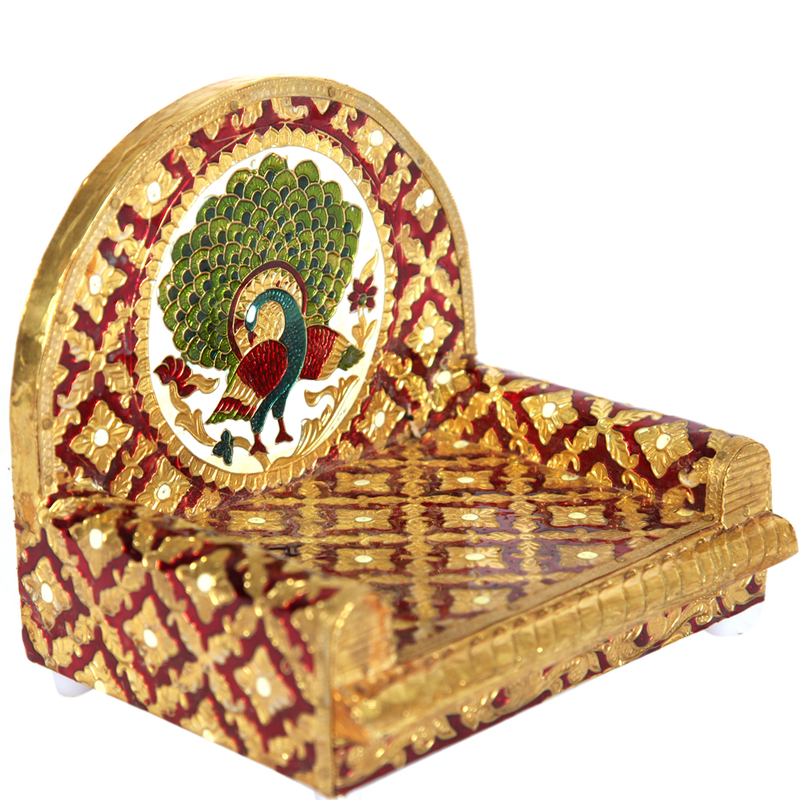 This wooden singhasan is ideal for housing your deities in a place full of aesthetic splendor, while adding to the piety of your household. Show Less..